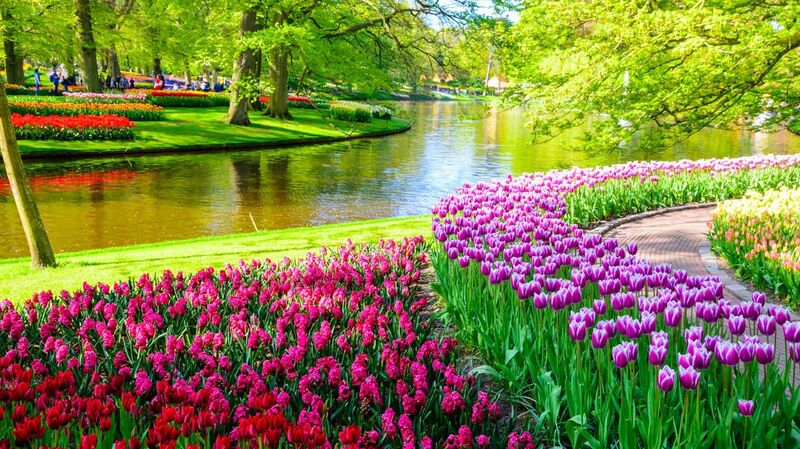 Flower enthusiasts won't want to miss this special trip showcasing the Keukenhof Spring Garden’s Flower Parade combined with sightseeing to two of Hollands most famous cities - Amsterdam & Rotterdam. 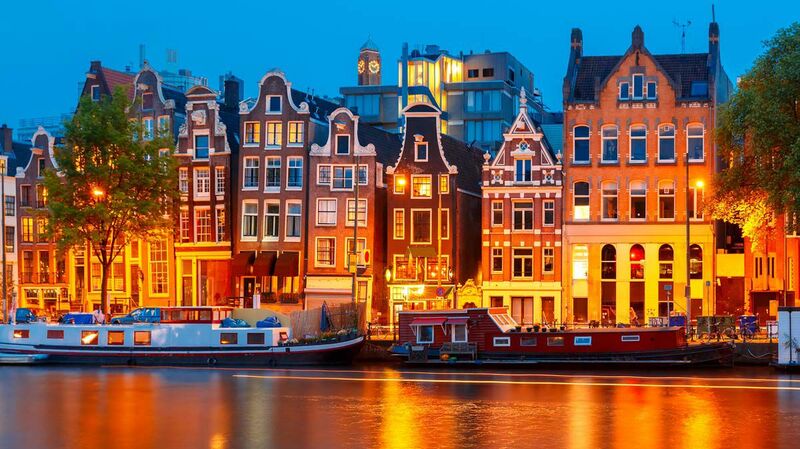 This 3-day tour offers the best in Dutch culture and popular sites at a relaxed pace and fantastic price! Day 1: An early morning departure gets us on our way to Rotterdam, known as the “Gateway to Europe” and Europe’s largest commercial port. 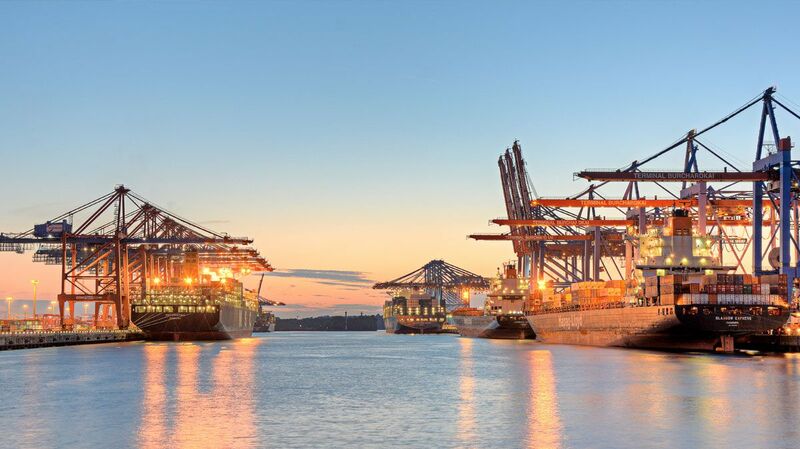 Upon arrival, we'll enjoy a boat excursion (included), to get a closer look at this lively port and a chance to learn about the amazing process of how millions of tons of goods are loaded and transported upstream to many countries including Germany, France, all the way to Switzerland. 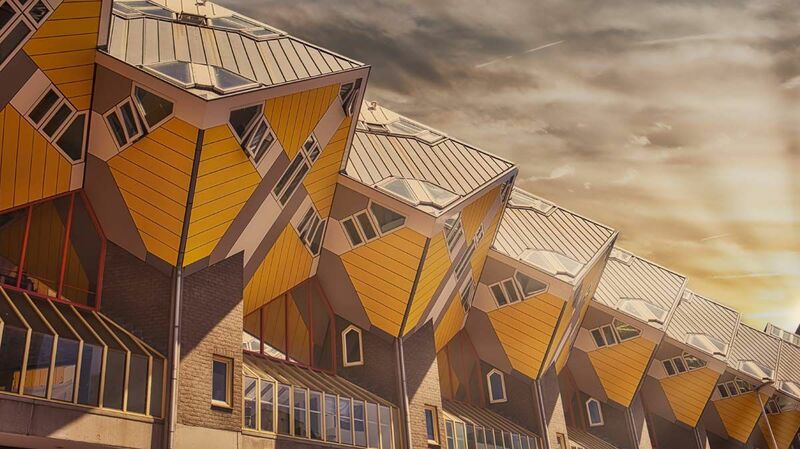 The afternoon is yours to explore Rotterdam’s maritime heritage such as the famous White House of Rotterdam, the Crocked Cube Houses, Erasmus Bridge and other innovative architectural marvels found throughout the city. 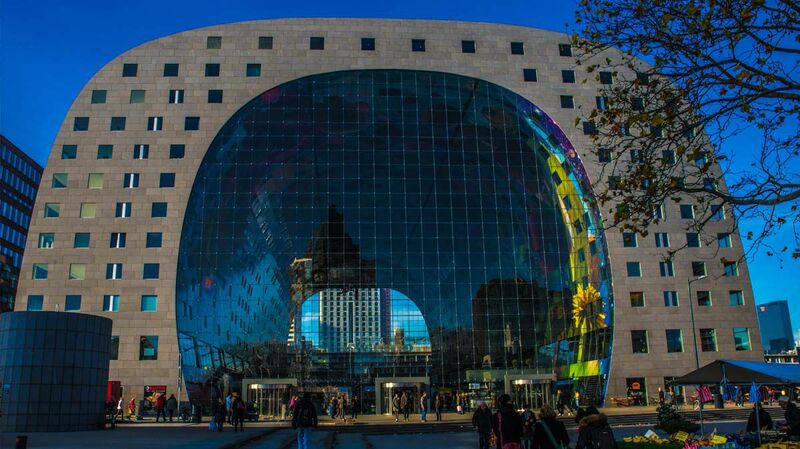 A visit to the Markthal (market hall) offers a lively atmosphere, plenty of shopping opportunities and a chance sample the edible delights at one of the many food stalls at the famous Binnenrotte. Check in at our 4-Star hotel will be available in the late afternoon, and a three-course or buffet style dinner (included) will be offered that evening at the hotel. 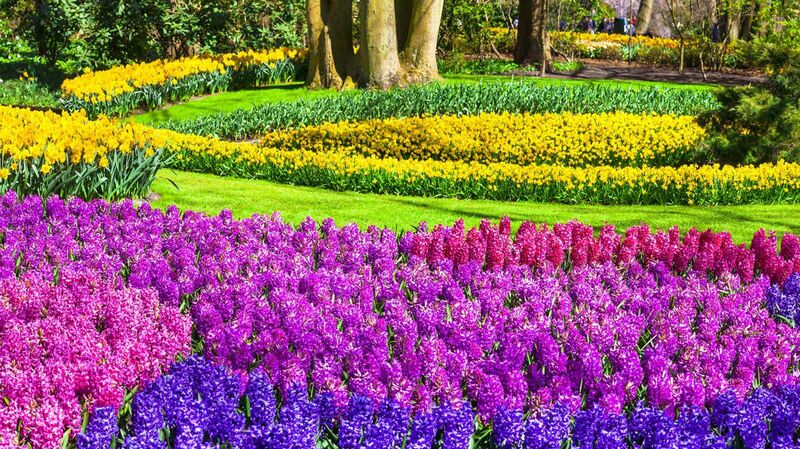 The main attraction, The Flower Parade, passes the Keukenhof Garden along the Keukenhof Corso Boulevard at about 15:30 in the afternoon (time will be reconfirmed by your guide). We suggest getting in place early to ensure you have a good location and vantage point to see the large flowered covered floats, luxuriously decorated cars and parade spectacles. On our way back, we will enjoy a scenic drive through The Hague and be able to snap pictures of the well-known International Court of Justice. We arrive back at the hotel for a relaxing evening and a three-course or buffet style dinner (included). The rest of the evening is yours to continue your explorations of Rotterdam, or you can unwind and recharge for the final leg the of the journey. Day 3: Our final day begins with breakfast at the hotel (included) before departing for the Clara Maria Farm, a fourth-generation Dutch family owned and operated cheese farm and clog production. Here the van Wees family will proudly introduce us to some classic Dutch traditions with a cheese-making and clog-manufacturing demonstrations followed by delicious cheese samples and a chance to purchase wares and gifts from their shop. Next, we journey to the heart of downtown Amsterdam, where you are free to explore the city’s museums and canals at your leisure. 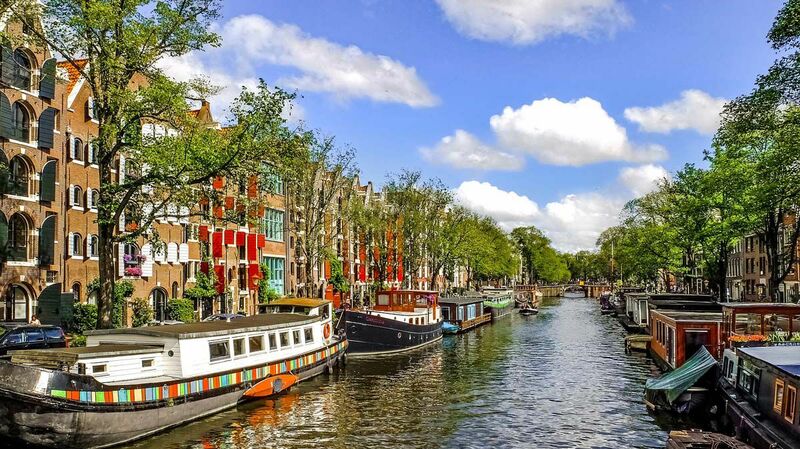 Your tour guide will be happy to provide suggestions about local sights, places for lunch and where to arrange a guided canal boat ride (not included). Our late afternoon departure ensures a timely arrival back at Ramstein. Individual attraction reservations are recommended upon confirmation of trip - keep watch on the Departure Status of your tour date. Overnight tours, please park at the designated long-term parking area (nearest the roundabout), your tour guide will provide you with a parking pass to place on your dashboard. From day of booking until 14 days prior €50 of tour price, per person.